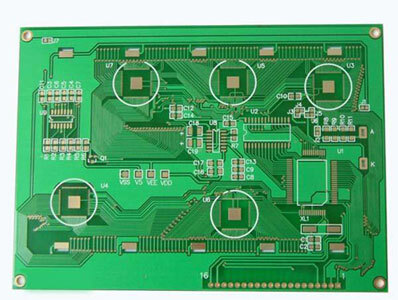 Many PCB designers are puzzled by the reference plane of PCB traces. For example. for inner traces, if VCC is on one side of the trace and the GND on the other, which one is used as the reference plane? To figure out this issue, you must understand the concept of transmission lines. We must use transmission lines to analyze the transmission signals on the PCB in order to explain the various phenomena that occur in high-speed circuits. The simplest transmission line includes two basic elements: a signal path, a reference path (also referred to as a return path). The signal is transmitted on the transmission line in the form of electromagnetic waves. The two basic elements of the transmission line constitute the physical environment for electromagnetic wave transmission. From the perspective of electromagnetic transmission, the signal path and the reference path together constitute a special physical structure in which electromagnetic waves are transmitted. From a current loop perspective, the signal path carries the signal current and the reference path carries the return current, so the reference path is also referred to as the return path. For the surface traces on the PCB, the traces and the underlying planar layers together constitute the physical environment for electromagnetic wave transmission. For this particular structure on the PCB, the reference path is in the form of a plane, so it is also called the reference plane. From the current loop point of view, the reference plane carries the return current of the signal, so it is also called the return plane. Now you may know where is the reference plane of the inner trace? Traces, the upper plane, and the lower plane together constitute the physical environment for the transmission of electromagnetic waves, so the upper and lower planes are the signal reference paths, also called the reference plane.